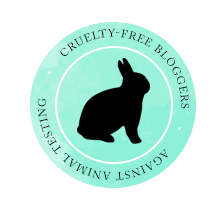 A Cruelty-Free & Ethical Vegan Lifestyle Blog! I think one of my favourite types of beauty products are hair care products. I love discovering and trying new cruelty-free hair care products. I always want my hair to be as healthy, shiny, and as voluminous as possible. One of my favourite hair care products of all time is the Grapeseed Glossing Serum from The Body Shop. So, for today’s blog post, I thought I’d share my review of it and tell you some information about it. Obviously by now you know that this is going to be a positive review, but let’s get right to it! I first tried the Grapeseed Glossing Serum years ago when I was looking for something to try at The Body Shop. Up until that point in my life, I’d never tried anything from The Body Shop, but my mom was a fan of the store and she used to buy beauty products there, so I wanted to give it a try! According to the packaging, the Grapeseed Glossing Serum is a “moisturizing, smoothing serum with grape oil.” It states that it is suitable for dull/frizzy hair. This is true; this hair serum is very moisturizing and provides a nice sheen to hair, it doesn’t weigh hair down, and it washes out very easily. On top of all this, it smells amazing! I like to apply this hair serum after my hair has air dried for a bit, so that my hair is still a bit wet, but not soaking wet. My hair is pretty thick, so I find two pumps applied to damp hair is suitable. I sometimes also apply a very small pump of it to my styled hair, if I feel it needs it. I’m not sure how this hair serum would work for thin hair, although, I would think that a small amount would be suitable because of the fact that it is a very light product and doesn’t weigh hair down. Recently, I picked up another container of this hair serum on sale for $5 CAD; however, the original price is $12 CAD. For this price, you get 75ml of product. I find this amount lasts me months, depending on how often I use it. I absolutely love the Grapeseed Glossing Serum from The Body Shop. If you haven’t tried this product, I highly recommend it! This serum is really great! I definitely recommend it! I'm Victoria — an animal rights advocate and ethical vegan from Eastern Ontario, Canada. I love writing, music, movies, thrifting, and my family! I'm an avid animal lover and because of that I try to live as ethically and cruelty-free as I can!